To summarise Newcastle United’s performance against Cardiff doesn’t need much explaining, to simply put it… we were disappointing. Regardless, I am going to breakdown the game from the notes I made during the match and review the performance. Like the first match against Spurs, Newcastle played their best football within the first twenty minutes of the game. The attacking force were linking passes well, making clever runs and intelligent pressing in areas that Cardiff looked most exposed: 7 minutes in and Kenedy had a decent chance that he created for himself with some nice dribbling and skill moves which opened up the space for a shot on target. A few minutes later Ayoze and Ritchie combined nice passing and pressing overpowered Cardiff’s left back which results in a shot on target for Ayoze who really should have made better of his chance. At this point Newcastle could’ve made the most of the pressing and assert some dominance for a period of the game. However, the lack of tactical organisation resulted in pressing opportunities fizz out quickly. Frustrations continue to build in the first half as Josh Murphy was causing our full backs all kinds of problems which kept us pinned back. A few corner opportunities came our way. Mostly from set pieces which most were poor. 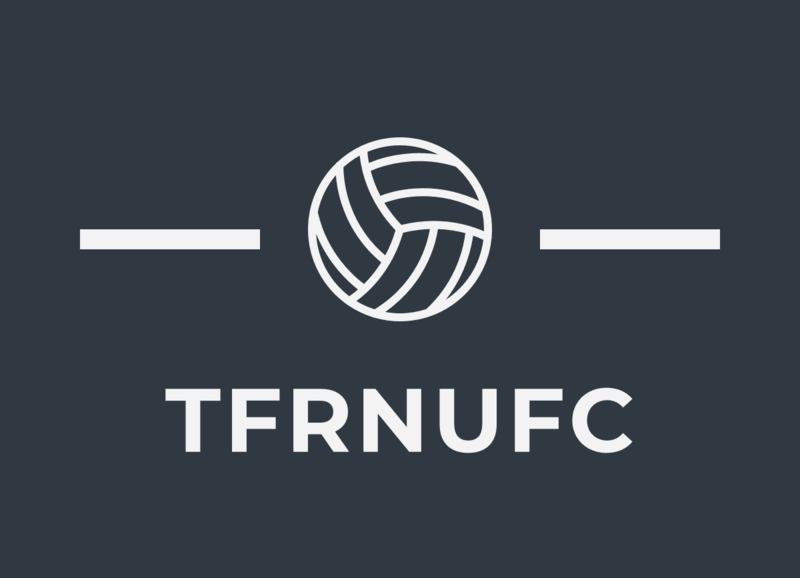 A lot of the attacking came from the right wing, the players became comfortable with using Ritchie, Perez and Manquillo to create opportunities for the strikers and forgetting how predictable the play was becoming for the Cardiff defense – But Newcastle didn’t show any ideas to try new things. The second half was a real opportunity to change up the tactics and approach the game in a different manner – to play more attacking football might of helped but the reality is that it was a mirror image of the first half. Isaac Hayden was brought on to replace Javi Manquillo who was struggling to handle Josh Murphy’s involvement in the game. The tactics remained and we began to struggle. Players couldn’t string more than 4 passes together and there was no creativity from the midfield to the attack. We were desperate for a substitution. 64 minutes – Perez off and Muto on to try and offer a new attacking dimension. A few minutes later and the nightmare continues as Isaac Hayden receives a red card for a shocking tackle on Josh Murphy and at the time the chances of a win looked nearly 0%. The final substitution for Newcastle was Ritchie coming off for Jacob Murphy who had a lot of work to do on the right side. For the final 10 minutes of the match Newcastle took advantage of the over extension of Cardiff and began to dig deep to find a needed goal. We were getting shots on target and the ideas looked to be coming back. The attackers were getting forward well and we looked like scoring with shots coming from Diame and Joselu and a free kick opportunity in a dangerous area that was wasted by Kenedy. The highlight of the match though was in injury time when Newcastle were gifted a penalty from a handball. The stage was set for the player that stepped up to become the hero of the day but the man that wanted the penalty was Kenedy who thought he had a point to prove and wanted to make up for his terrible performance leading up to the penalty. Unfortunately Kenedy somehow misses the penalty and that completed what will be his worst performance in his PL career and more importantly letting down the fans that travelled 300 + miles to watch that heap of shite. (Credit to the fans though they put on a better display than the players). Rafa Benitez got his tactics wrong, the counter attacking style was studied by the opposition and because of that Newcastle were suffocated for most of the match. Benitez somehow failed to see the predictability of the attacks and instead instructed the players to play long balls?? against an opposition that keep their defense deep and compact showed that Benitez needs to rethink his plan B.
Jonjo Shelvey, Jamaal Lascelles and Ciaran Clark were Newcastle’s best performers and nobody else had the courage to try and change the game or challenge the tactics. With a massive game against Chelsea coming up at St James’s Park I am grateful and congratulate the team for the point but we should’ve walked away with all 3.